Masbia breakfast (L-R): Mr. Alex Rapaport, one of the founders of Masbia; Mr. Ethan Dreifus, community member; Mr. Itzy Laub, community member and Harav Noach Isaac Oelbaum, shlita, Rav of Khal Nachlas Yitzchok, Queens. 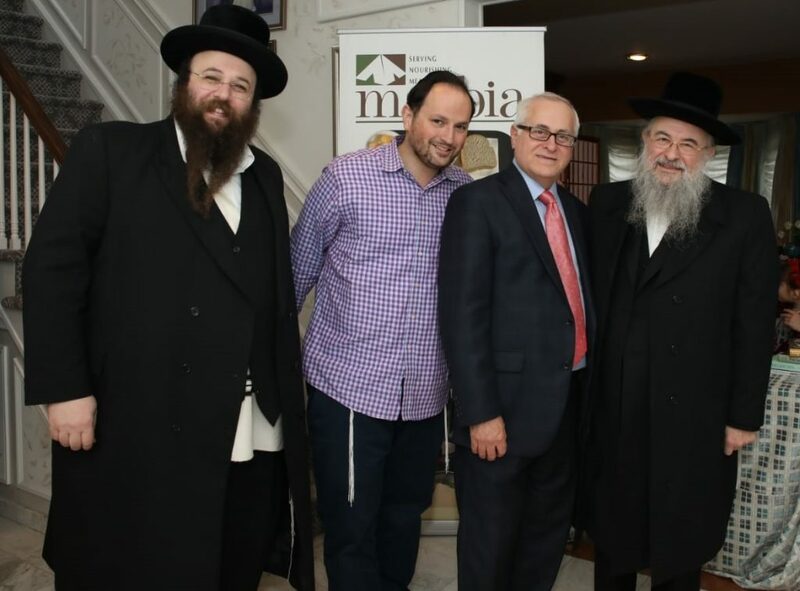 The Laubs’ home in Kew Gardens Hills filled with community members, local Rabbanim and local politicians on Sunday morning, October 28, for the annual Masbia breakfast. The fundraiser included horse rides. 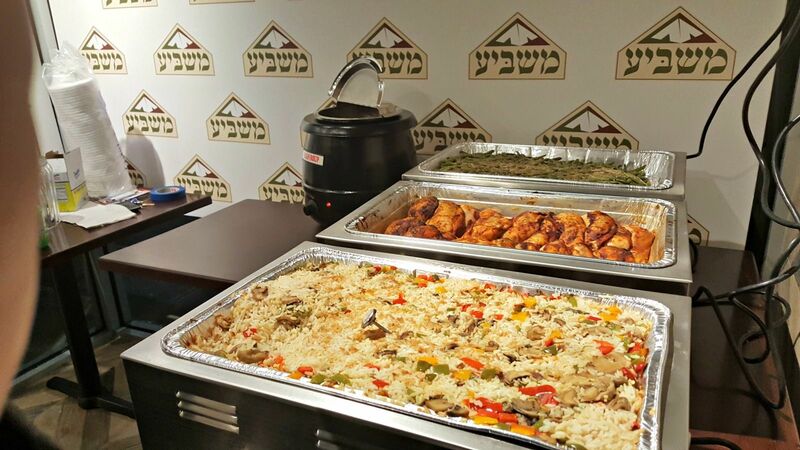 Masbia provides two million kosher meals each year to those in need regardless of age, race, or religion. Masbia has moved from Rego Park to its new location of 105-47 64th Road, Forest Hills. Masbia prides itself on feeling more like a restaurant than a soup kitchen. The new location provides 3,000 square feet of storage space so Masbia can buy food cheaper, in bulk, and thus serve more people in need. She said we see one thing is clear from the last few days, that we need to lower the political rhetoric. Words lead to actions. “These types of crimes are hate crimes from people who hate people because of who they are.” She said that the best way to combat this type of thing is to continue in our regular activities. We should go to school and to work and not change our way of life. 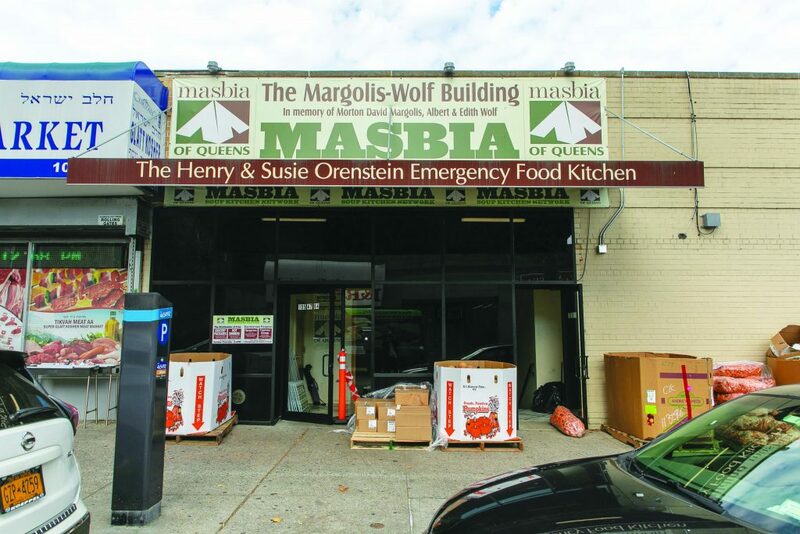 Mr. Mordechai Mandelbaum and Mr. Alexander Rapaport founded Masbia which they envisioned as a charity to feed the hungry in a clean, well-lit, attractive place. They wanted to provide nourishing kosher meals daily for free. Masbia in Brooklyn opened the first and only kosher soup kitchen on April 3, 2005. Since that date, Masbia has served millions of meals, which means tens of thousands of people (many of them children and elderly) have gone to bed with food in their stomachs, full and content. In the quest to tackle hunger, Masbia is the organization that will always do as much as is possible… and then strive to do even more. Masbia actively networks with local NY farmers and CSA programs in order to get fresh and local produce donations. Masbia established its Weekend Take-Home Package program at all three soup kitchen sites. Through this program alone, Masbia has given out over 1,000 variously portioned packages of food each week. So far, every year, Masbia continues to grow and serve at least 20% more meals than the previous year, currently distributing over 2,000,000 meals a year. For more information, please email info@masbia.org.